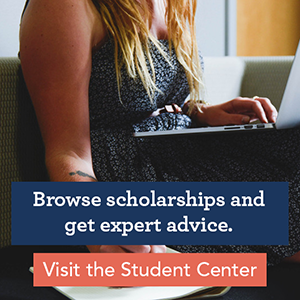 This February, love is in the air, and so are many financial aid dollars waiting to help you achieve your educational goals! That’s right: it’s Financial Aid Awareness Month, and that means ‘tis the season to fill out the FAFSA, if you haven’t already. Traditionally, the FAFSA has been the source of plenty of headaches, but this year, the FAFSA is easier to fill out than ever. We want to help you feel the love this FAFSA season by sharing 5 things that will make the FAFSA easier for your family to fill out and understand. We are celebrating the small victories that revolutionized the FAFSA process this year. For example, the FAFSA opened earlier than ever before for the 2017-2018 academic year! The form has been available to you since October 1, 2016. 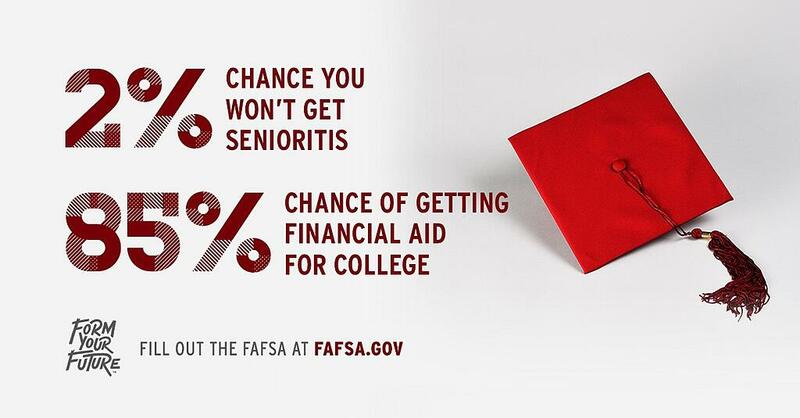 The Federal FAFSA deadlines are a little deceiving. While you can technically fill out the 2017-18 FAFSA any time before the end of June 2018, waiting that long would be a big mistake. Most states and schools have earlier deadlines, with February and March typically being important months in a lot of places. Check the FAFSA website to find your state’s deadline. When it comes to school-specific deadlines, always double-check with the institutions that you are applying to, and take advantage of their early FAFSA opportunities. While many institutions will still accept your FAFSA submission past their initial deadline, applications submitted before then take precedence and will receive earlier award letters. Remember that the number one mistake with the FAFSA is not filling it out, so regardless of where you are in the process it’s always worth it to complete. Many students get tripped up on whether they classify as an independent or dependent. This can get tricky as students may not live with their parent or legal guardians, but they still qualify as a dependent. Remember: just because parents opt not to help pay for school does not grant someone independent status. Download this questionnaire from the FAFSA website to determine your dependency status. While this may seem like a small node in the system, your dependency status actually determines whose tax information needs to be provided. Dependent students who fail to provide their parent information risk having their forms rejected. This means no Expected Family Contribution (EFC) will be calculated, and most schools require an EFC in order to issue award letters (including merit-based scholarships). Miss this step, and the most you may be qualified for are unsubsidized loans. This may seem like a crazy tip, but it’s actually the part of the FAFSA that gets the most confusing. Students whose parents have separated or who have been placed in legal custody of another relative may wonder whose information they need to include. This is important to determine, as it affects whose information is included in the parent tax records that calculate the EFC. Read the legal definitions of terms carefully as they will help clarify who should provide information. It is not as simple as just including the information of the people you live with. If you live in the custody of another person, you cannot use their information unless they have legally adopted you. To help you determine whose information should be included in the parent section of your FAFSA, check out this handy flowchart. Likewise, if you do not know your parents or your parents refuse to provide their information, the FAFSA website has a more information regarding your options. Many people assume that, if you select that you are interested in a work study job, you will obligated to obtain one. That’s not true – and mis-reading can mean missing out. If, on the FAFSA you say you are not interested in work study, you will not be eligible for any work study programs or dollars whatsoever. Many times students lose valuable dollars and opportunities by saying no on the form. Students often must do their own looking on campus to find work study opportunities. If you are awarded potential work study dollars, you do not have to commit to a work study program. However, it does help keep that option open. We hope you’re beginning to feel the FAFSA love, and wish you all the best!